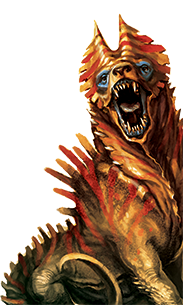 Save time at the game table and in prep with these super-handy cards! 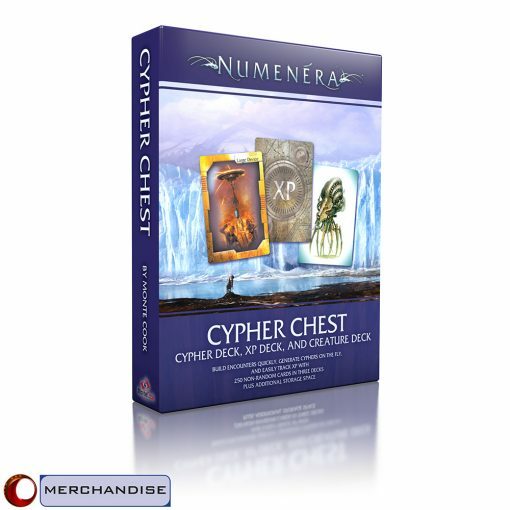 Cyphers are among the most common type of numenera devices in the Ninth World. 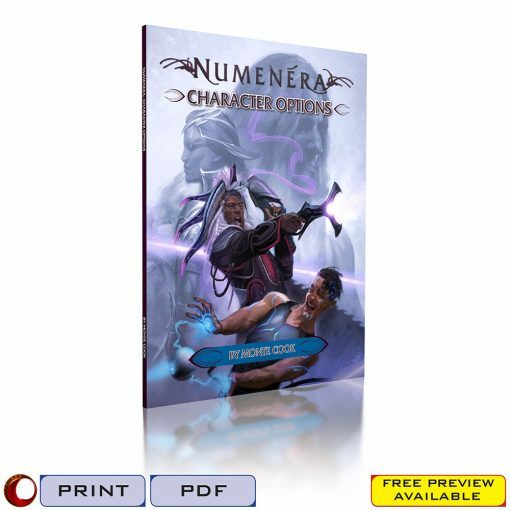 Usually single-use and frequently cobbled together or used in ways completely unrelated to their original intent, cyphers are a great opportunity for characters to discover and use the numenera as one-time weapons, wearable devices, quick heals, and more. 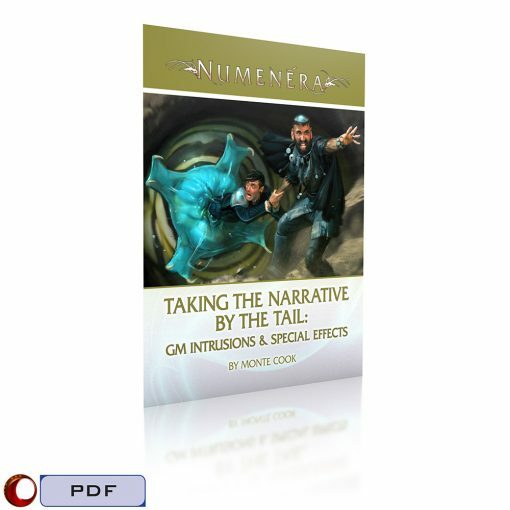 This deck of 120 full-color cards allows GMs and players to randomly generate cyphers on the fly. 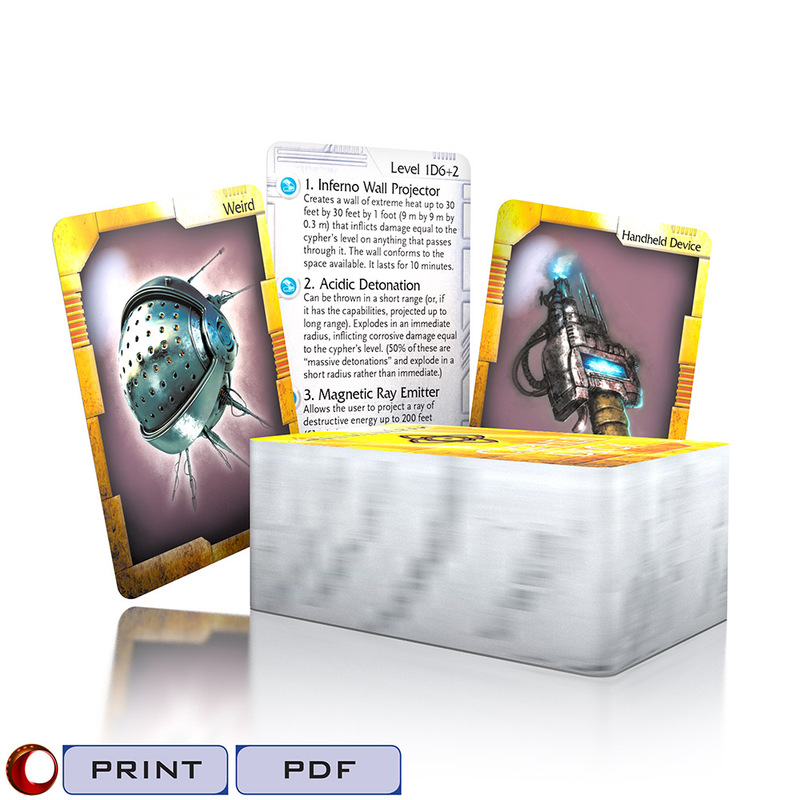 Twenty item cards are lavishly illustrated with different device types, while each of the 100 power cards offers multiple power options to match the device. 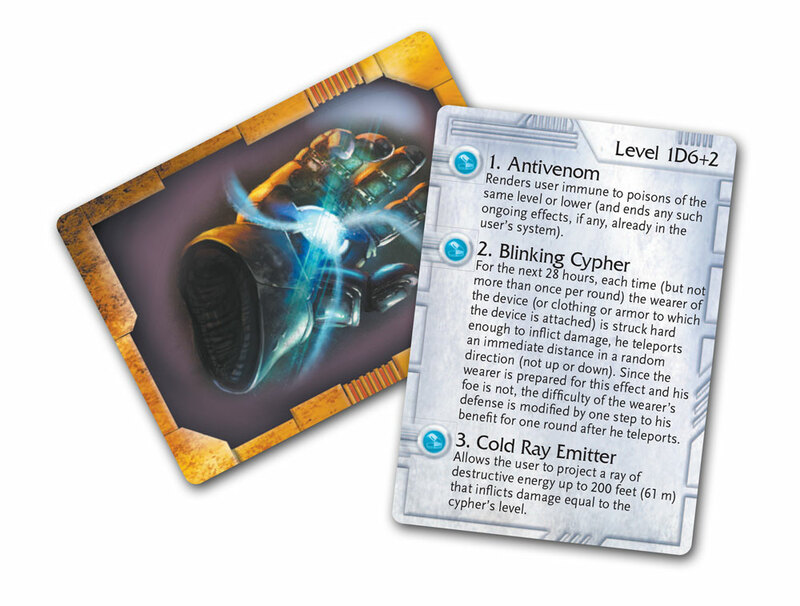 Skip rolling on the tables and save time and effort, at the game table and while prepping your game, by simply drawing a card, which you can then hand to your player to keep until the cypher is used! 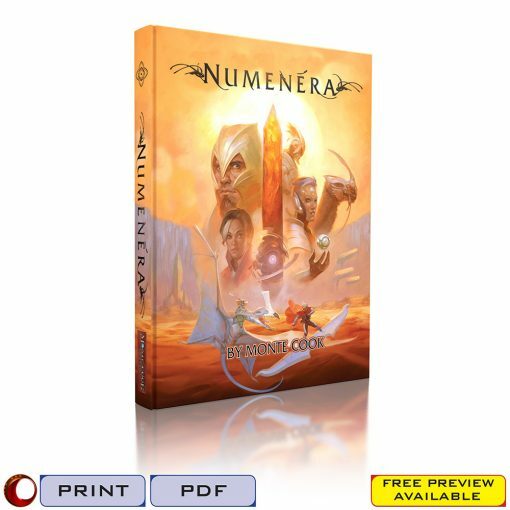 The Cypher Deck is also available in print (along with the Numenera Creature Deck and XP Deck) as part of the Numenera Cypher Chest. 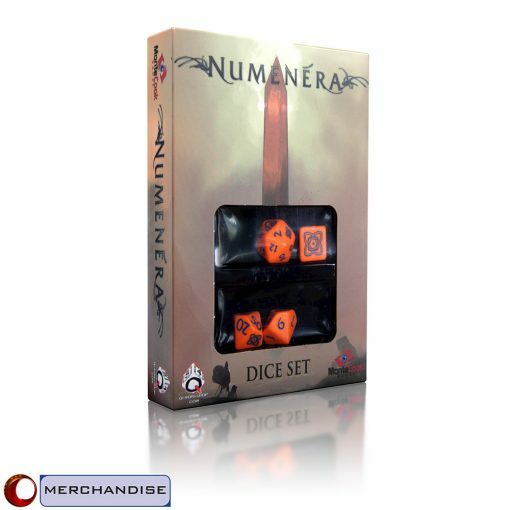 It’s a great price for all three decks, and you get a handy, game-shelf-friendly box to store them in, along with any additional decks you pick up (such as the Cypher Deck 2)! 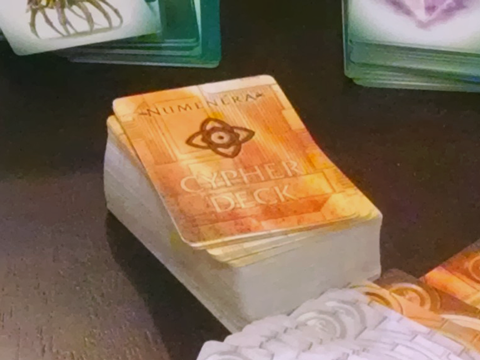 PDF purchasers: To print your Cypher Deck, set your double-sided printer to short-edge binding and print on a cardstock material. Then, with a sharp utility knife and straight edge, use the crop marks as guides to trim the cards apart. 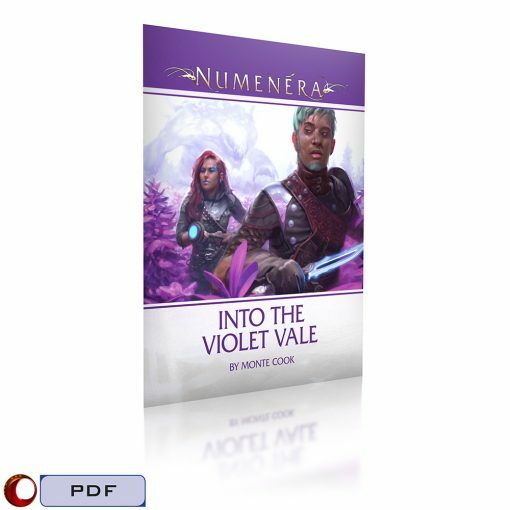 If you don’t have a double-sided printer, print the pages individually and then glue them back-to-back with a thin, even coat of adhesive. Before glueing, hold the back-to-back sheets up to a light source to ensure they are lining up correctly. The gutters between the cards give you a little bit of leeway if the two sides do not line up exactly.